Can someone tell me what this says? 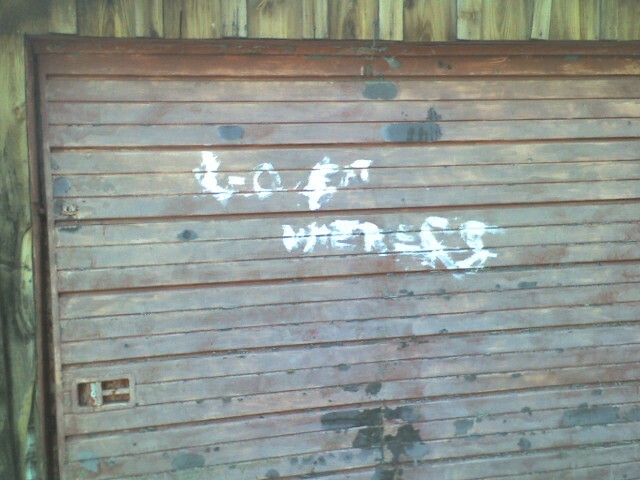 I thought it was “loft wieners”, but now I think it might be “golf wieners”. Any thoughts? For some background, I took the photo with my fancy camera phone. 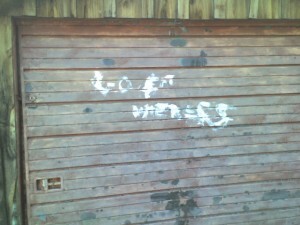 The photo is of a garage door in an alleyway on my to the subway from home. This entry was posted in Opinion and tagged language, photos.